When it comes to HIV and AIDS, it’s time to move the goalposts by working with youth to provide approaches tailored to their needs. Stigma and discrimination contribute to a fear of testing and a lack of support for HIV-positive individuals. Adolescent girls are particularly at risk, and are more than twice as likely to become infected than boys of the same age. Gender-based sexual violence contributes to the spread of HIV; girls who have experienced sexual violence are 1.5 times more likely to contract HIV. 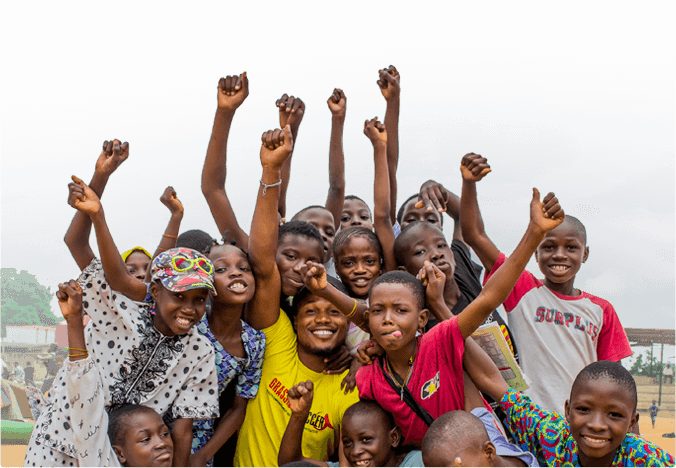 Grassroot Soccer delivers vital HIV / AIDS knowledge to young people through our SKILLZ curriculum, addressing prevention by understanding risky behaviors along with basic facts about HIV. Trained local mentors – our Caring Coaches, incorporate soccer into dynamic lessons about health and wellness that engage young people and break down cultural barriers. Participants are given information and support to feel confident to voluntarily test for HIV. Through Voluntary Counseling and Testing Tournaments, GRS harnesses the power of soccer to bring youth and community members together for a fun day of soccer matches combined with access to free HIV testing and counseling services. GRS also promotes access to voluntary medical male circumcision (VMMC), an important strategy for HIV prevention. In addition to referrals, GRS offers a safe and inclusive environment for HIV-positive youth to openly discuss social concerns and support each other in adhering to HIV treatment. Grassroot Soccer had compiled some of the most robust and comprehensive evidence of any organization globally that show we are affecting adolescent behavior change.